I hate to admit this, but there were nights when I would lie awake, worrying about something my child was facing in sports. I would think through every possible solution to fix things for my child, or at least help them fix it. What was it that kept me up at night? I’m guessing my worry list looks a lot like some of yours. I’d like to share it with you and offer some solutions that might help sports parents get much-needed sleep. Are any of these causing you to toss and turn? RELATED CONTENT: What if Your Child Plays Sports, but is not Aggressive? My child isn’t getting enough playing time! This is a big one. Because not only does this have to do with playing time; it often affects your child’s self-esteem, happiness, and motivation. You want your child to be happy. You want your child to have success. You want your child to work hard and feel the reward of the hard work they put in. And often, parents assume that the only way for their child to be happy, have success, and feel rewarded is by having the playing time they want. Playing time is important, let’s not pretend that it isn’t. Every athlete wants to play, but the number one mistake that parents make about playing time is assuming that it is the only measurement of success for their young athletes. Success has so many other symptoms: character growth, leadership, reaching a goal, having a comeback, and consistent improvement, to name a few. 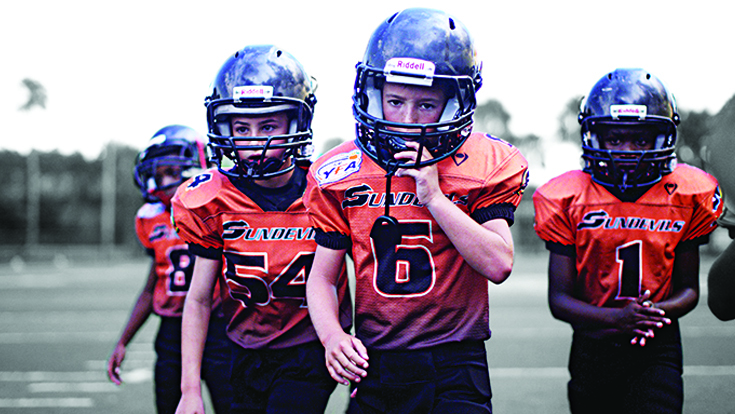 Playing time should not be the holy grail of youth sports. There is so, so much more for your child in the youth sports experience than just minutes off the bench. This whole process of playing sports–unless your child goes on to the pros–is meaningless if your child gets nothing out of it but a lot of playing time. With that perspective, parents can set aside worries about playing time and focus instead on helping their child reach for their goals. My child is just not motivated. Maybe you’ve tried yelling, bribery, comparison, reverse psychology, threats and preaching to motivate your child. Did any of them work for you? I’m guessing none of them produced long-lasting results. What it takes to motivate your child is as specific as your child. There is no one-size-fits-all formula for motivating kids. Be sure you let your child know that you believe in them, keep sports in perspective in your home, and remember to affirm their hard work. My child is not getting along with the coach. “Getting along” can look like a lot of things when it comes to athletes and coaches. Does your child think the coach doesn’t like them, notice them, or trust them? Maybe your child thinks the coach is harder on them than anyone else. Whatever the scenario, the bottom line is that this is an opportunity for your child to learn about people and how to get along with them. Not every coach, teacher, or employer is going to be besties with your child and learning to “get along” with people is something your child can start learning now with a coach who seems a bit prickly. Look at this as a learning experience for your child to overcome adversity with other people. RELATED CONTENT: What Should a Good Coach Look Like? My child does not like his/her teammates. Hopefully there are at least one or two teammates that your child connects with, but if not, it will indeed be a long season. Teamwork is one of the joys of playing sports, so when your child does not like the team, much of the fun will be lost. Perhaps this is an opportunity for your child to learn how to be a friend. You’ve probably heard the saying, “In order to have friends, you have to be a friend.” Being a friend means encouraging, listening, showing interest, defending, and cheering for the other person. My child wants to play in college. extra lessons, camps, and travel ball. But even if you do everything right, there is no guarantee that your child will play in college. As hard as it is to accept, your child will be okay, especially if you are okay. Your support–with or without college sports–will give them the encouragement to face whatever college brings. They need to know they are not a disappointment to you if they don’t play or play well. They need to know you are proud of them regardless. Next time you are tempted to worry, try asking yourself a few questions to move away from that mindset: What does my child need to learn from this experience? What can I do to help them grow stronger from this? Parents, I hope you’re sleeping well and enjoying the journey. If you are, I’m pretty sure your kids will be enjoying it more too.